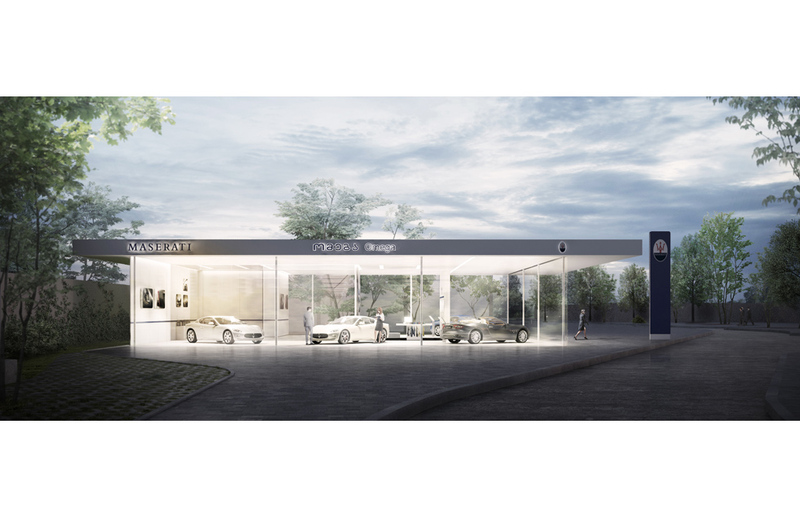 The new Maserati showroom in Tiblisi will be located in the core of Omega Motor Complex, the high standard car showroom and recreational complex for motor lovers. 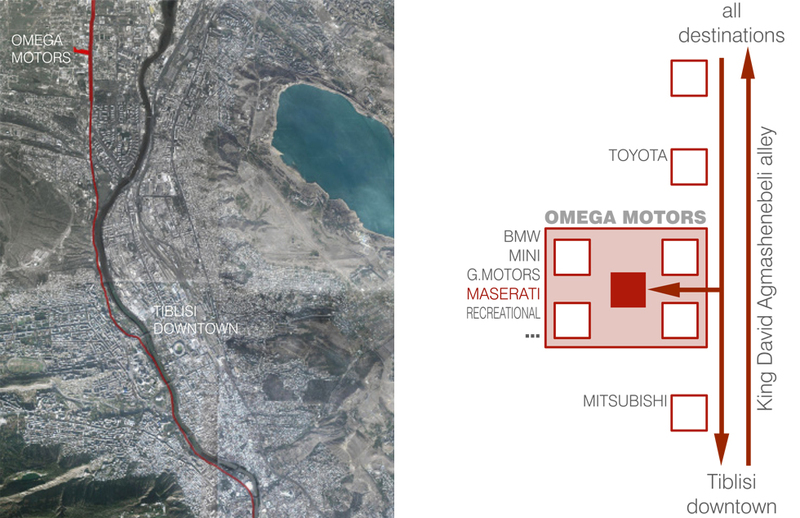 People going to Tiblisi downtown will have a glimpse of the other showrroms facing King David’s alley, but they will stop or come on purpose to Omega Motors, the biggest car lovers attractor in Georgia. 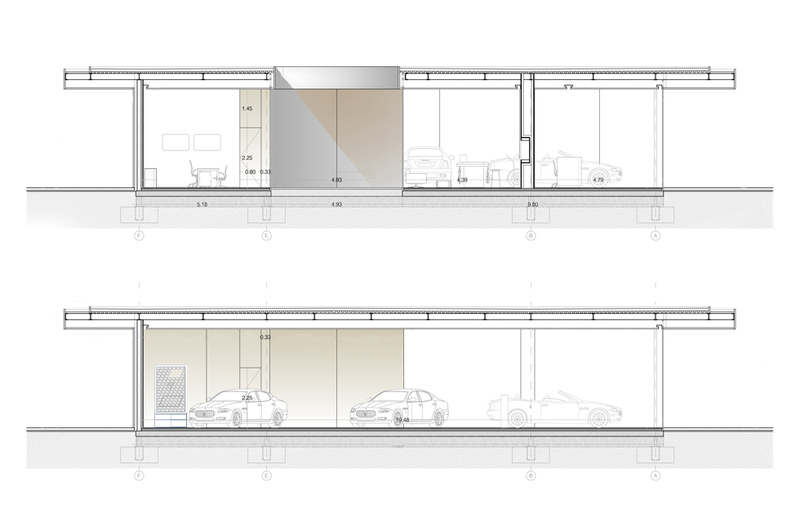 The Maserati showroom will be an isolated 20x20m glass box in a central position inside the Complex. Its isolated condition makes three façades fully visible form the street facing the building. 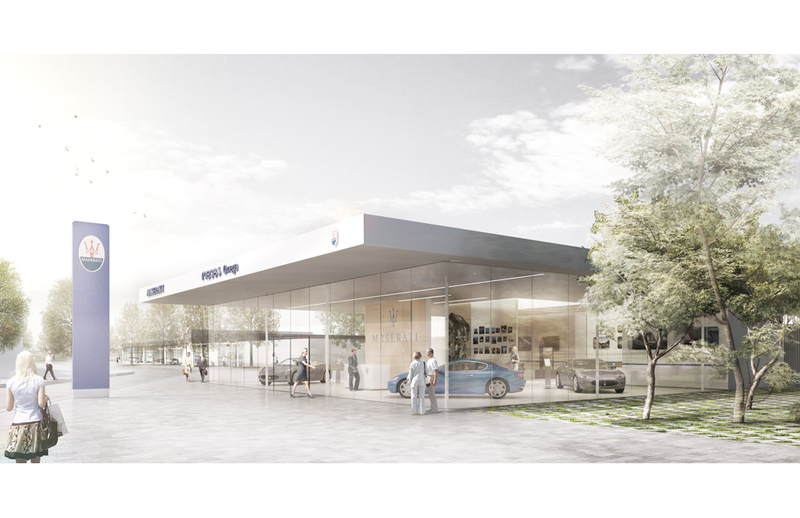 The street will be the main internal axis of the Complex where cars will circulate at low speed. 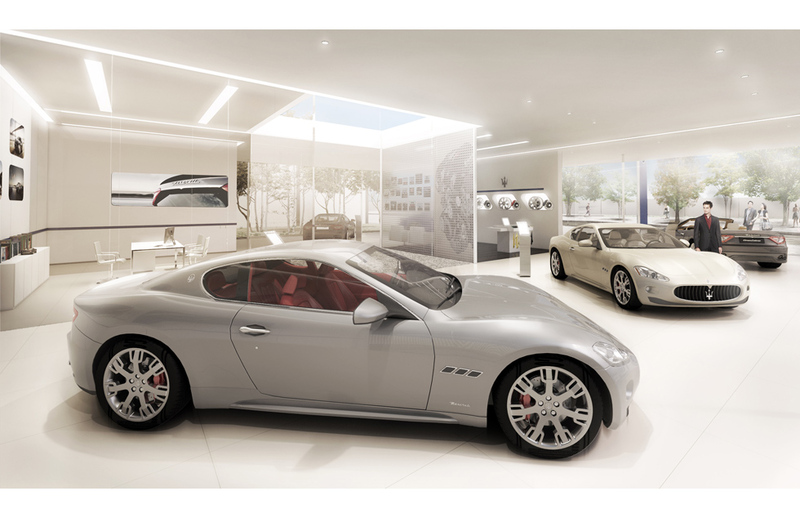 This two conditions (visibility and low speed) offer a unique opportunity to make Maserati a panoramic showroom. 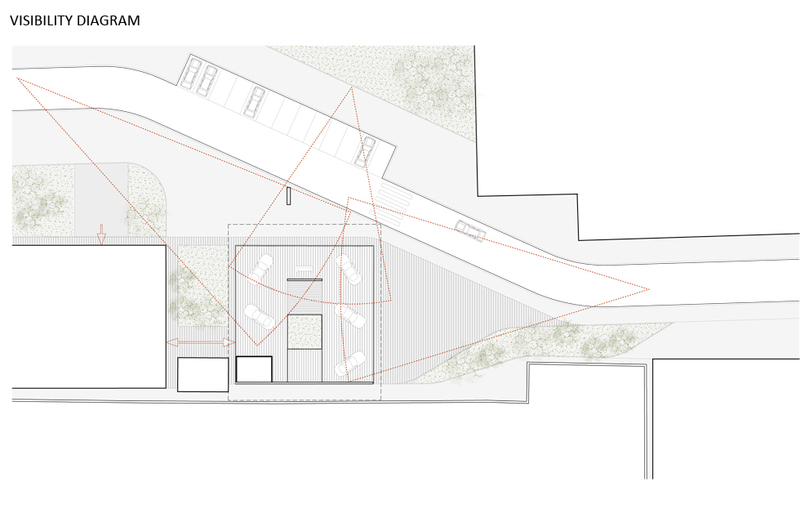 In order to protect the glass façade form the rain (frequent in Tiblisi) and the direct sun insulation, the roof will cantilever on its 4 sides (1m to east and west and 3m to north, where the main entrance is, and south). 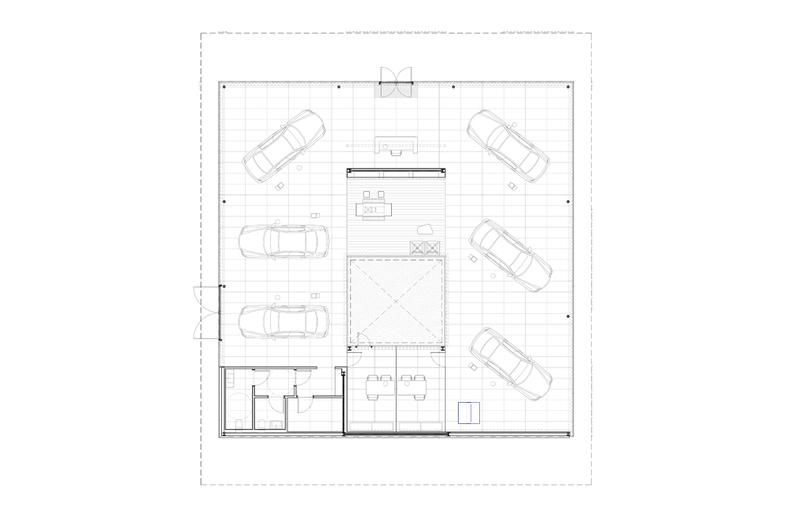 Natural lughting will be reinforced by a patio placed in the center of the building, which will provide double sided natural light to all cars.